Is It Time to Replace Your Timing Belt? The All-New 2019 Jeep Cherokee is now available at Cueter CDJR in Lansing and keeps the same renowned traditional stance with a new advanced Global Turbo Engine. 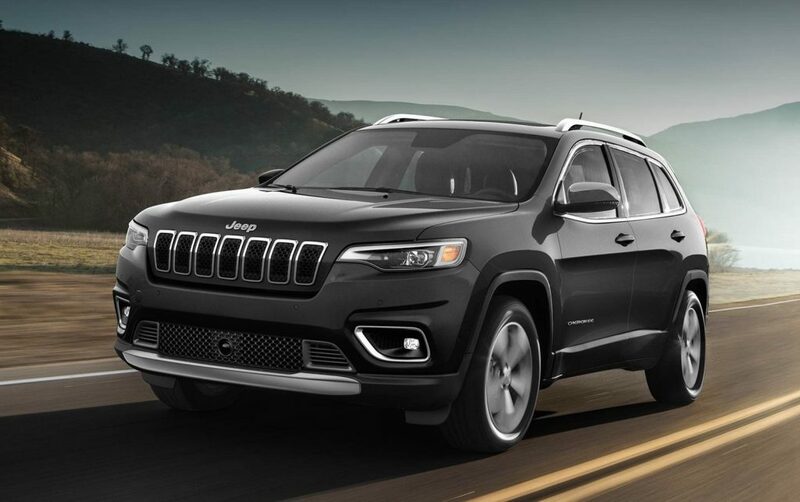 With features in all trim levels, the Cherokee is best in class trail-rated mixed with the Jeep SelecTerrain traction control system with up to five customized modes – Auto, Snow, Sport, Sand/Mud and Rock. Available in five different trim configurations – Latitude, Latitude Plus, Limited, Overland and the rugged Trail Rated Trailhawk, the 2019 Jeep Cherokee is manufactured in the United States at the Belvidere Assembly Plant in Belvidere, Illinois. 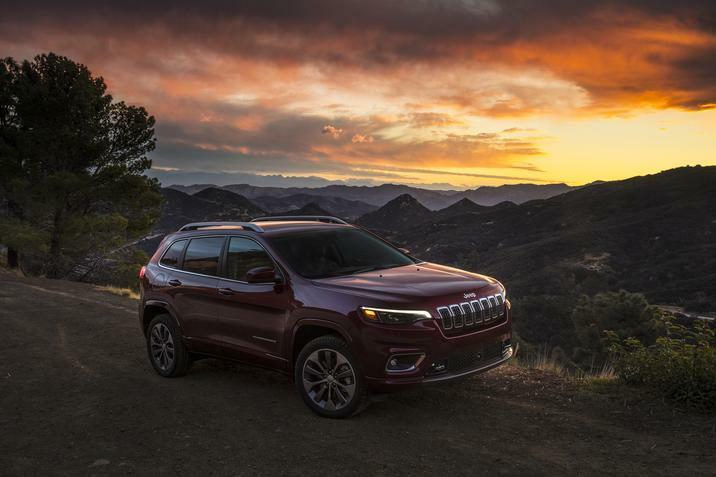 The 2019 Jeep Cherokee features an extensive new exterior design that highlights a completely fresh appearance and includes a major restyling of several signature components. Drivers and passengers will command road presence with an all-new front exterior that is consistent with classic Jeep design. The Jeep design team has created a distinguished new look that aligns on the premium side of the Jeep family, along with iconic Jeep styling. Complete with a new fascia, lightweight hood, LED headlamps, daylight running lamps (DRL), fog lamps and liftgate, the new 2019 Jeep Cherokee is a vehicle that offers a fresh look, and maintains its unmatched capability in all weather conditions, on the road or trail. The 2019 Jeep Cherokee stays true to its heritage with a wide and commanding stance and an aggressive wheel-to-body proportion for a distinctive identity. Aggressive approach and departure angles contribute to best-in-class capability. A main feature is maintaining the signature waterfall hood mated to the seven-slot grille. As a single piece, the sloping new lightweight aluminum hood projects clean visual lines that separate from the front fenders, further contributing to the distinctive, premium look. The latest and most advanced LED lighting technology is prominent on the 2019 Jeep Cherokee. New front Bi-LED projector headlamps incorporate its signature Cherokee DRLs, which have been refined as one fixture, providing a fresh look. The new re-sculpted front fascia completes its wide stance with dual LED fog lamps surrounded by bright trim details and adaptive cruise control radar sensor positioned below. Overland models receive new standard bright chrome steel tow hooks. Consumers will also appreciate new features, such as a new push-push fuel door and capless fuel fill that eliminates the need to touch and turn the vehicle’s gas cap when refilling – keeping their hands clean of fuel smell. A new contemporary look highlights the 2019 Jeep Cherokee rear profile with re-sculpted design cues, creating a more harmonic flow to the rear of the vehicle. The new Cherokee’s tail lamps remain an integral part of the rear backlight graphic, which includes a signature red “Feature Light” – a thin homogenous LED light strip that wraps individual stop, turn and reverse tail lamp applications. A new and redesigned lightweight composite liftgate includes an integrated light bar with release handle repositioned higher for added customer convenience. Additionally, the available handsfree liftgate is operated by making a kicking motion under the bumper to open. Cherokee stays true to Jeep open-air freedom by offering the dual-pane sunroof with motorized sunshade that minimizes glare. The new 2019 Jeep Cherokee standard lineup receives five new wheel offerings in its portfolio including a 19-inch premium polished aluminum wheel on Overland models. Consumers will have a choice of 12 different exterior colors: Blue Shade, Sting-Gray, Velvet Red, Firecracker Red, Olive Green, Hydro Blue, Light Brownstone, Granite Crystal, Billet Silver, Diamond Black Crystal, Pearl White and Bright White. The updated interior of the new 2019 Jeep Cherokee receives a fresh and elegant touch while remaining a practical and comfortable environment. Premium hand-sculpted forms tie signature Jeep design cues and high-quality materials together with precision craftsmanship. A driver-oriented cockpit loaded with easy-to-use, useful technology, clever, thoughtful storage features and more than 80 available safety and security features – including eight standard air bags –provide occupants everything they need for any adventure they undertake. Drivers and passengers will immediately notice refined and elegant features in the new 2019 Jeep Cherokee. The use of new high-gloss Piano Black, complemented by premium Satin Chrome tracer accents, add a delicate touch around the radio, air vent, and gear shifter bezels, creating a tailored and harmonious look. The electric park brake button has also been enclosed around the center shifter bezel for ease of operation. The resculpted center console front media center hub (USB port and 115-volt outlet) has been repositioned rearward creating additional space with the enlargement of the front storage pocket, perfect for placing mobile smart phones and other devices next to the integral USB port for easy access to connected services. Cherokee maintains premium materials abound through the door panels, armrests and upper instrument panel. Interior trim that is soft to the touch and pleasing to the eye is found throughout the cabin. Designers also freshened the interior with lighter color tones on lower trim panels that match seating and create a pleasant and welcoming environment. Ergonomically designed seats that support the contour of the body are trimmed with premium cloth or quality Nappa leather and come available as power adjustable, heated/ventilated seats with memory. Premium cloth fabrics include a unique “Hex” interlocking graphic. The available 60/40 split second-row seats adjust fore and aft for increased passenger comfort and cargo flexibility. Unique features such as the available heated, leather-wrapped steering wheel, heated and ventilated front seats, plus much more will delight both drivers and passengers alike. Rear cargo capacity has also been increased over three inches in width and now totals more than 27 cubic feet, offering additional storage space that can easily accommodate golf clubs or groceries for every day adventures. The 2019 Jeep Cherokee highlights a choice of three innovative 4×4 systems that have been enhanced for unmatched 4×4 capability for all weather conditions. Jeep Cherokee maintains its place as the benchmark mid-size SUV with rear-axle disconnect technology that results in reduced energy loss when 4×4 capability isn’t needed, while improving fuel efficiency. The rear-axle disconnect seamlessly switches between two- and four-wheel drive for full-time torque management and does not require input from the driver. Come by Cueter CDJR in Lansing today to check out the all-new 2019 Jeep Cherokee! Champion Chrysler Jeep Dodge Ram	42.7402952, -84.645271.